This is a pair of brand new, OEM High Pressure Fuel Pumps for the B8 S5 with the JHM High Pressure Fuel Pump (HPFP) Kits already installed. 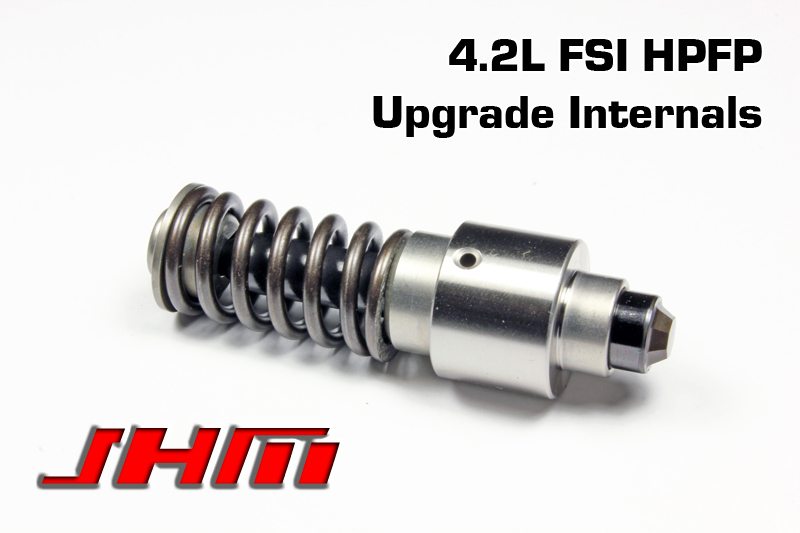 Our brand new, JHM High Pressure Fuel Pump (HPFP) Upgrade installed in a set of brand new pumps will help you get the most out of the direct injection fueling system on your B8 S5 4.2L FSI V8. Not only does the upgrade increase the amount of fuel your high pressure fuel pumps can deliver but it will also decrease the duty cycle of the N276 solenoid on your pumps. Lowering the duty cycle of the N276 will extend the life of this solenoid - an item that commonly fails on these pumps but isn't available separately. We recommend the upgrade kit that is installed in these brand new, OEM pumps for our JHM Stage 1+ or Stage 2 Supercharger Kits on the B7-RS4 and B8-S5 with the 4.2L FSI V8s. In true JHM fashion, we have been performing long term testing on these parts since 2013. 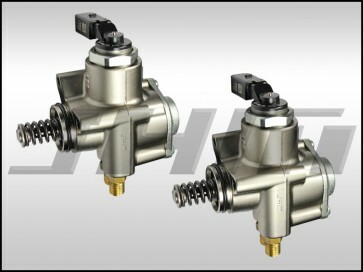 Our HPFP Upgrade will fit all all Audis and Volkswagens with Hitachi High Pressure Fuel Pumps. This includes the Audi B7-RS4 4.2L FSI V8, B8-S5 4.2L FSI V8, B7-A4 2.0T FSI, and Volkswagen Mark V and VI GTIs and GLIs with the 2.0T FSI. This upgrade does not fit newer TSI motors with Bosch pumps. NOTE: This product includes a PAIR of brand new, OEM B7-RS4 High Pressure Fuel Pumps with the JHM HPFP Upgrade Kits pre-installed. These pumps are side specific and as a set, only fit the RS4. 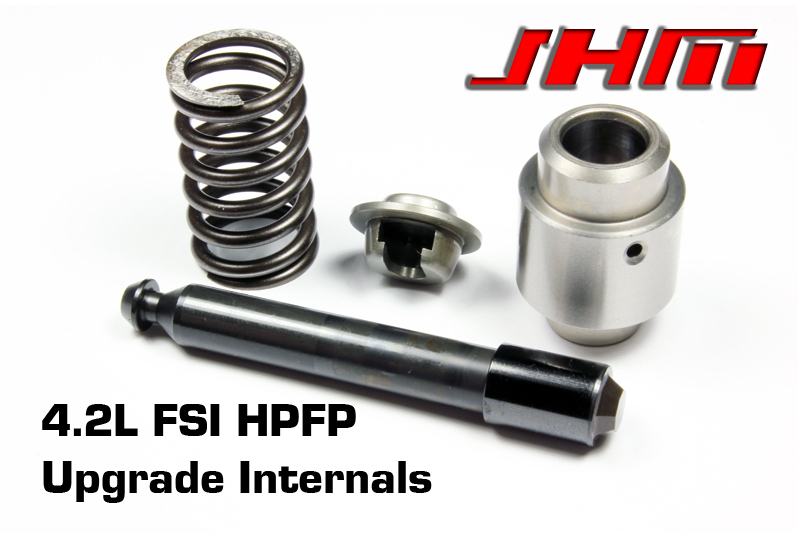 If you are interested in purchasing just the JHM HPFP upgrade kit for your 4.2L FSI V8, please go back one section or search our website for "JHM-HPFPUpgV8".